Wahoo...we had over 140 participants last week for Frugalicious Friday and all I can say is...Finding Fabulous Reader's Rock! If you linked up...thank you. 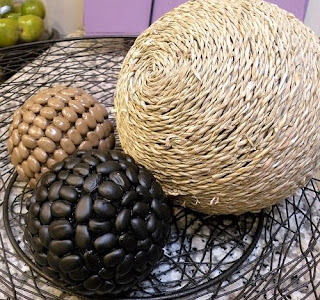 I saw fabulous finds, crafts and Diy projects that were all about style and $aving...love that! We've got a winner to pick today! 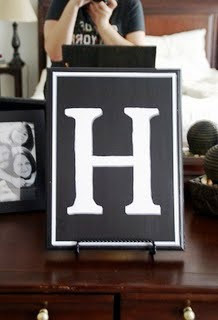 For our giveaway last week MirrorMate offered $100 towards the purchase of one of their fabulous frames. 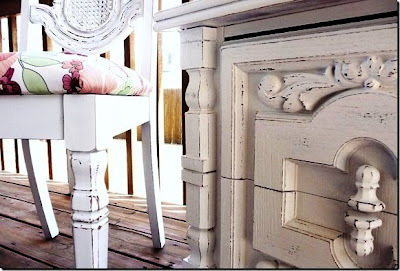 But first, here are a few Frugalicious Friday Favorites that caught my eye! Okay let's get to it, using a random number generator, the winner of the $100 gift certificate towards the purchse of any MirrorMate frame is...number 107! Kelly and Laura from My Dear Trash! Congratulations girls... MirrorMate frames are fabulous! I'll be in touch to get you connected with MirrorMate. 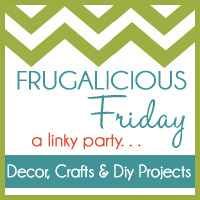 Alrighty party friends...Frugalicious Friday is ON again this week and we've got another giveaway! 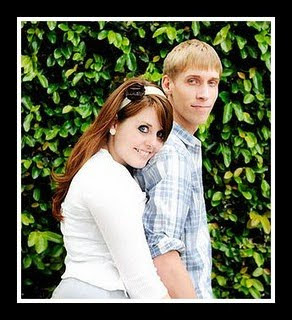 I'll give you a hint. Think paper, cards and invitations. Yup, check back Friday to link up those fabulous finds, crafts and Diy projects and get entered to win! See you then, if not before. Thanks for the highlights! 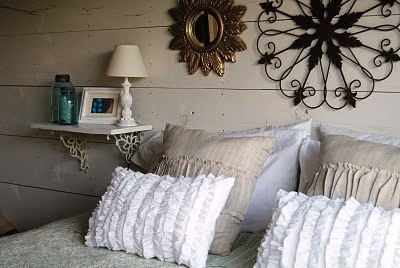 Those ruffled pillows are FAB!! Thanks for featuring my pillows. 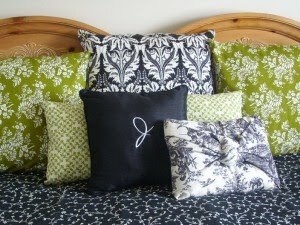 Now I want to try my hand at those pretty ruffled pillows. Gorgeous! I love all of these!! Jane, thanks so much for featuring me! It means a lot. Yours was one of the first thrifty/crafty blogs I started reading. I tried clicking on the links under the pictures and nothing happened...maybe they are broken? Thanks for featuring my pinto bean decor balls. I LOVE them and they are so so easy!! !